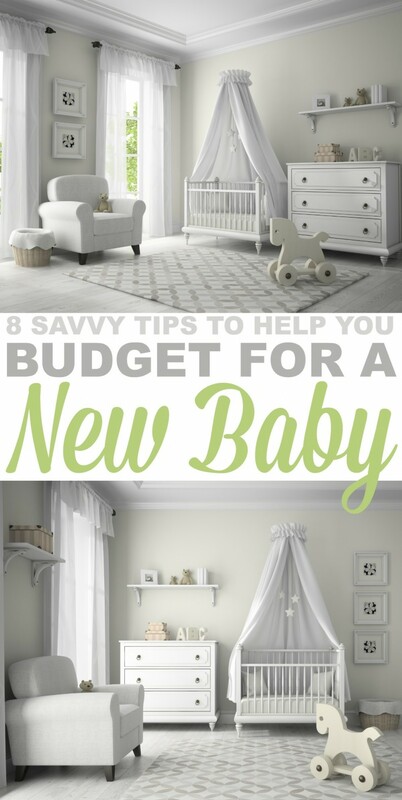 8 Savvy Tips to Help you Budget for a New Baby - Frugal Mom Eh! 8 Savvy Tips to Help you Budget for a New Baby. Having a newborn does not need to be financially crippling. Here are some easy ways to save money without cutting corners! First time parents tend to want to grab everything on the shelves for their newborns. The cost of being a new parent can quickly add up, even if you have a baby shower. With a few savvy tips though you can manage getting setup for a new baby on a dime. 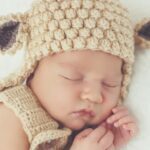 You can likely find essential baby items from family members and friends whose baby days are over and they will likely be more than happy to hand them over. I managed to source a cradle, a bouncer, a baby swing, a baby monitor and more for free and/or low cost, saving me over a thousand dollars. Your next stop should be consignment stores, online and at yard sales. Most baby items you find will be nearly new and in great condition, so go score a deal and go second hand! Of course, there are some items you should not source second hand and that includes crib mattresses and car seats. Buying these second hand could pose a serious risk to your baby unless you know their history. When making your purchasing decisions, do consider the quality of the items as well as their usage life. 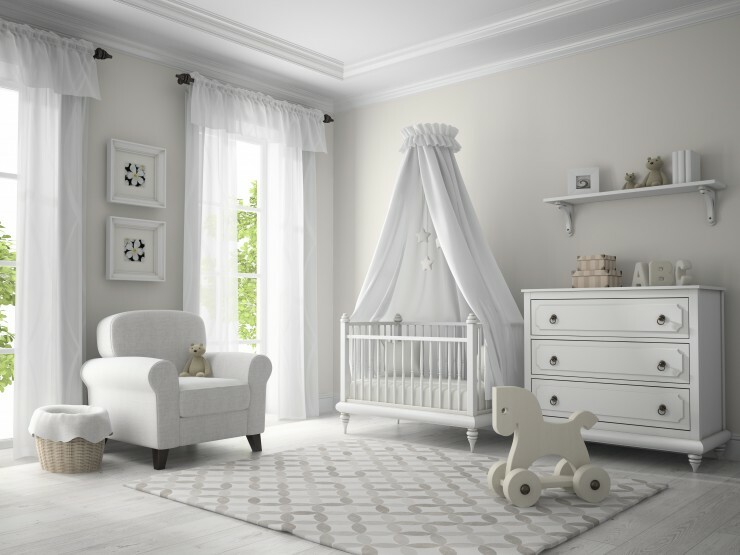 A convertible crib that transforms from crib to toddler bed to a full-sized bed could be used for 20 years or more making the initial cost worthwhile. Some high chairs are also convertible – lengthening their life span from a couple years to decades. Breastfeeding has many health advantages for both mom and baby but there is a financial advantage to be had as well. For those unable to breastfeed, look online for a “baby club” sponsored by the formula company of your choice. They will often send you free samples as well as money saving coupons which may even be sent monthly. Once it is time to introduce food you may want to consider homemade baby food. Jarred baby food can be expensive even when on sale while homemade is simple to make and gives you more control over what your baby is eating. It requires a blender or food processor, a steamer or pot, ice cube trays and freezer bags. It is a simple process to steam vegetables or poach meats and then puree for your baby. With a few dollars’ worth of meat and produce you can freeze a month or two’s supply of food in less than 30 minutes. Alternatively, you may want to look into baby-led weaning. If you aren’t sure you are going to need an item, then simply go without! You can always buy it later if the need arises. Some items you will most likely want to think twice about include baby bath tubs, bath thermometers, scratch mittens, change tables, and gliders. Adult bath tubs are baby safe as long as you draw a shallow bath for baby to lie in. Your elbow is an effective thermometer – the temperature is perfect when you submerge your elbow and it feels either neutral or just slightly warm. Newborn socks can easily double as scratch mittens and are far more functional. You will find that your bed is a perfect surface combined with a change mat for diaper changes; you could also opt for a change pad secured to a dresser. Gliders do look great in a nursery, but generally will not get used as much as you think – even if you do plan on nursing. We are very lucky in Canada that Baby Showers are the norm. Take advantage of it! When building your baby registry, do not be afraid to add big ticket items such as a travel system. Often groups of your family and friends will be happy to go in together to get these items for you. Babies grow fast. Do not make the mistake of investing in hoards of clothes all in one size. Do not invest in higher ticket items such as winter coats too far ahead until you hit 2t and up as chances are they may not fit come winter. Choose gender neutral as much as possible if you plan on having future children to maximise hand-me downs. Again, second hand can bring you huge savings so ask your family and friends, check consignment stores and mom to mom sales to fill out your baby’s wardrobe. Chances are most used clothing will have barely been worn as again, babies grow quickly. If you do purchase or receive new clothes for your baby be sure to leave the tags on and keep them unwashed until the items are needed. Most children’s stores will allow you to exchange items that are unworn but outgrown for another size. There are some great ways to save on diapering which is good news for everyone not considering elimination communication with their child. Pampers products, for example, provide new parents with everyday great value by offering a quality product they can rely on to keep their baby dry and the opportunity to save. Pampers is offering Canadian parents many ways to save throughout the year via print-at-home and in-store coupons, app deals, and subscription services such as Amazon Subscribe and Save. You can save on a variety of Pampers products including Pampers Swaddlers, Pampers Cruisers, Pampers Easy Ups, Pampers UnderJams and more! Combine these coupons with a sale and you’ve got a good reason to stock up on Pampers diapers for baby! Have a tip to share with other readers? I’d love to see your own tips for having a new baby on a budget! Disclosure: This post has been brought to you by Pampers. All thoughts and opinions are honest and my own. I used cloth more with Keira and only as a back up with Ava just because it was so much work, and I couldn’t keep up with the extra laundry. I found between coupons, sales, and buying in bulk that I spent a lot less on disposables than I did on cloth plus no added cost for washing. Yes and that makes so much sense,when i used cloth(a square of flannel) many years ago it was cheaper but in todays world with all the fancy cloth diapers some almost 20 bucks itrs a bit much. We definitely save lots of money by using online resale shops and thrift stores. Babies go through clothing sizes so quickly it just isn’t worth the investment of brand new clothes for every outfit. These are some great & practical tips! Buying used can save you a lot of money. There are a ton of great baby items out there. We used hand-me-downs for all of our kids. It’s a great time saver, and when you’re down you can give them to someone else too! Good and practical tips for parents. In my family, we usually hand over used baby items if we don’t need them anymore. We also hand over clothes if they are in good condition and doesn’t fit babies anymore. Looking for used items in good condition is surely a good idea to save some money. As soon as she got pregnant just over two years ago, Sandra Hanna and her husband Jason started scrutinizing their spending, slashing extras such as lunches out and new clothes, and began socking money away to cover the looming expenses of a maternity leave and daycare. “We had a moment of panic where we wondered if we could afford to have a child—we had just bought a house and we were used to having money to go out and enjoy life,” says Sandra.